Convert your 30A generator to a 55A high-output alternator with this complete conversion kit. 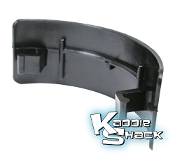 Comes with everything you need: The alternator, stand, inner/outer backing plates, spacer, and even a new strap! EMPI replacement alternator. This alternator is internally regulated and requires no voltage regulator. 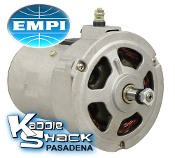 EMPI chrome alternator provides a whopping 75 amps of power to those big off-road lights and/or bumping stereo! Genuine Bosch factory replacement alternator. This alternator is internally regulated and requires no voltage regulator. Convert your Squareback, Fastback, or Notchback to a modern 55A high-output alternator with this complete conversion kit. Comes with everything you need to bolt it right up, including a 10 x 965m belt. Has almost twice the power of the original generator. Requires stock Type 3 12V fan shroud. This is the rubber boot that covers the wiring terminal on late Bugs. We use them to protect both wires on top when we install an alternator. 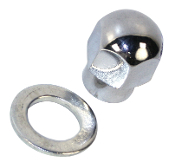 This special chrome nut and washer set is designed to fit our billet alternator/generator pulleys. Don't forget to order the shims too! Is your pulley cracked around the center, or spread out so the belt is way too far in the groove and rubbing against the alternator? Time to replace it. We always carry an extra one for emergencies. 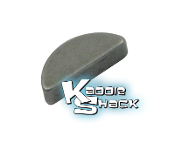 Shim Kit for Alternator and Generator. 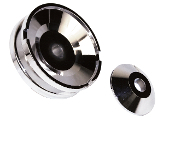 This kit includes 10 spacers. 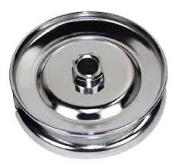 Chrome Generator Pulley Nut and Spacer Chrome cone-shaped spacer and smooth cap-style pulley nut adds the finished look to all pulleys for that detailed "show look." 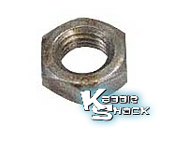 Stock replacement nut fits alternators or generators all upright and Type 3 engines from 1946 and later. 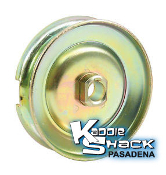 Stock replacement washer fits alternators or generators all upright and Type 3 engines from 1946 and later. This little woodruff key can cause a lot of headaches if it gets lost or damaged. 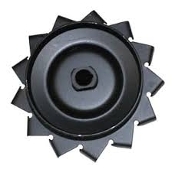 In installs under the alternator or generator pulley and prevents the pulley from spinning on the shaft when the pulley turns. It's not a bad idea to have a spare on hand. Ever look down at the top of your generator and wonder why there is a gaping hole in the casting? It's because this piece is supposed to snap into it to protect things from getting inside of it. It's common for this part to be missing on 40+ year old cars! 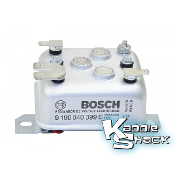 Quality Bosch voltage regulator replaces defective bosch 12V regulators on all models with Type 1 or Type 3 engines that are equipped with generators. 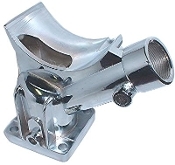 This stand fits both alternators and generators, so its universal both both applications or when upgrading to an alternator. 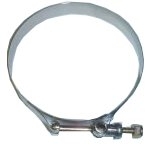 This carburetor spacer is used for the 28 and 30 series carburetors to space the carburetor up above the alternator for the additional clearance needed when an alternator conversion is installed. it will not fit the 34 series carburetors.